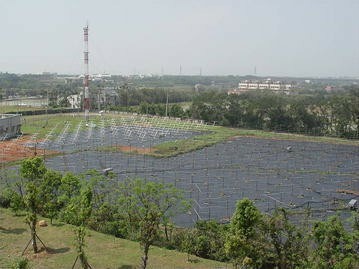 In Taiwan, research and education of solar terrestrial sciences began with a ground-based ionosonde operated by Ministry of Communications in 1952 and courses of ionospheric physics and space physics offered by National Central University (NCU) in 1959, respectively. Since 1990, to enhance both research and education, the Institute of Space Science at NCU has been setting up and operating ground-based observations of micropulsations, very high-frequency radar, low-latitude ionospheric tomography network, high-frequency Doppler sounder, digital ionosondes, and total electron content (TEC) derived from ground-based GPS receivers to study the morphology of the ionosphere for diurnal, seasonal, geophysical, and solar activity variations, as well as the ionosphere response to solar flares, solar wind, solar eclipses, magnetic storms, earthquakes, tsunami, and so on. Meanwhile, to have better understanding on physics and mechanisms, model simulations for the heliosphere, solar wind, magnetosphere, and ionosphere are also introduced and developed. After the 21 September 1999 Mw7.6 Chi–Chi earthquake, seismo-ionospheric precursors and seismo-traveling ionospheric disturbances induced by earthquakes become the most interesting and challenging research topics of the world. The development of solar terrestrial sciences grows even much faster after National Space Origination has been launching a series of FORMOSAT satellites since 1999. ROCSAT-1 (now renamed FORMOSAT-1) measures the ion composition, density, temperature, and drift velocity at the 600-km altitude in the low-latitude ionosphere; FORMOSAT-2 is to investigate lightning-induced transient luminous events, polar aurora, and upper atmospheric airglow, and FORMOSAT-3 probes ionospheric electron density profiles of the globe. In the near future, FORMOSAT-5 and FORMOSAT-7/COSMIC-2 will be employed for studying solar terrestrial sciences. These satellite missions play an important role on the recent development of solar terrestrial sciences in Taiwan. Ionospheric observation and investigation in Taiwan were initiated in 1951 when a manual ionosonde was first operated by National Taiwan University. The routine observation of the ionosphere in Taiwan was started in 1952 by the Radio Research Laboratory of the Ministry of Communications. In 1966, the ionospheric sounding station was moved from Taipei to Chung-Li, about 40 km southwest of Taipei, and the routine ionogram observations have continued without interruption. Usually, the observations were made every 15 min. The characteristics of the ionosphere have been routinely reduced in accordance with the “URSI (International Union of Radio Science) handbooks of ionogram interpretation and reduction.” Meanwhile, Lungping magnetic observatory was established and operated by Ministry of Communication since 1965. Later, routine sunspot, total electron content, and HF Doppler frequency shift observations were also carried out at the observatory. However, all the observations were gradually terminated due to severe damage by the 21 September 1999 M7.6 Chi–Chi earthquake. Meanwhile, after the International Geophysical Year (IGY) in 1957–1958, solar terrestrial education in Taiwan was initiated by Institute of Geophysics, National Central University (NCU) at Maio-Li in 1959. NCU was moved from Maio-Li to Chung-Li in 1970, and the solar terrestrial education was then taken over by Department of atmospheric physics. Both micropulsation and HF Doppler frequency shift observations were conducted in late 1980s. The very high-frequency (VHF) radar was set up Prof. Chao-Han Liu and has been operating since 1985 to probe the lower and middle atmosphere mainly, and the lower ionosphere. Institute of Space Science (ISS) at NCU was established for MS and Ph.D. program for the solar terrestrial education in 1990. Hereafter, educations for under and graduate programs as well as researches with observations, theoretical developments, and model simulations related to the solar, interplanetary space, magnetosphere, ionosphere, and upper neutral atmosphere have been mainly carrying out by NCU/ISS. In 1994, a laboratory-type advanced ionospheric sounder, Digisonde Portable Sounder (DPS), was set up on NCU campus, and later, a Dynasonde was also added. After ROCSAT-1 (or FORMOSAT-1), FORMOSAT-2, and FORMOSAT-3/COSMIC (F3/C) were launched in 1999, 2004, and 2006 by National Space Organization, model developments and observations for ionospheric plasma structures, dynamics, and space weather have been significantly advanced. In this paper, recent progresses in VHF radar, solar–solar wind-magnetosphere, earthquake anomalies and disturbances, ionospheric space weather, and FORMOSAT satellites are summarized. The Chung-Li VHF radar situated on the NCU campus (Fig. 1) has been operating since 1985 to probe the lower and middle atmosphere mainly, and the lower ionosphere. In the recent 5-year, for the lower atmosphere, multi-receiver coherent radar imaging and multi-frequency range imaging are applied to observe small-scale structures in the troposphere and the field-aligned plasma irregularities in the ionosphere (Chen et al. 2014a, b, 2015). A physical process is proposed to account for the relation between gravity wave-perturbed neutral wind and height variation of the Doppler velocity shear of the 3-m Es field-aligned irregularities (Chu et al. 2011). A technique of measuring aspect angle of radar returns from 3-m Es field aligned irregularities is developed. A long-term statistical analysis shows that the mean aspect angle of the 3‐m Es field‐aligned irregularities for the layer‐type plasma structures is about 0.05° smaller than that (0.3°) for the clump‐type plasma structures (Wang et al. 2011). Interferometry measurements provide compelling evidences that the mechanisms responsible for the generations of the layer-type and clump-type plasma structures are, respectively, very likely ion convergence of tidal wind shear in a thin region and the wind shear associated with propagating gravity wave (Chu et al. 2013). F3/C measurements and model simulations both show that the summer maximum (winter minimum) in the Es layer occurrence is very likely attributed to the convergence of the Fe+ concentration flux driven by the tidal wind in ionosphere (Chu et al. 2014). A new method is proposed to correct the phase bias in using range imaging technique to resolve fine atmospheric structure from pulse radar echoes (Chen et al. 2014b). With the Chung-Li VHF radar observation, it is found that the amplitudes of the mean wind, diurnal, and semidiurnal tides in height range 82–100 km are systematically larger than those of the model-predicted winds by up to a factor of 3 (Su et al. 2014). An algorithm for improving F3/C-retrieved E region electron density is proposed. After removing the IRI model-simulated GPS RO (radio occultation) retrieval errors from the original F3/C measurements, the average values of the annual and monthly mean percentage errors of the F3/C-measured RO retrieval errors of the E region electron density can be substantially reduced (Wu et al. 2015). While it is generally believed that the presence of magnetic field can modify the thermal properties of solar structure and that solar eruptions can reform the coronal magnetic field, little is known whether any relationship may exist between the subsurface thermal structure and the solar eruption. Lin (2014) investigates whether any detectable relationship exists between the productivity of solar eruptions and the thermal properties of the subsurface structures. The results indicated that some subsurface thermal disturbances are seen to increase with eruptivity indices among active regions with high eruptivity. On the other hand, Yang et al. (2014) attempt to characterize the flare initiation based on the processed Helioseismic and Magnetic Imager vector magnetograms, Atmospheric Imaging Assembly 1600 Å, and RHESSI hard X-ray observations. The existence of non-thermal radiations from planets is common in the solar system, e.g., the decameter radiation from Jupiter and the auroral kilometric radiation from the Earth. The problem of non-thermal radiation from planets remained unsolved until cyclotron maser instability being proposed as the radiation mechanism (Wu and Lee 1979; Lee and Wu 1980). It not only predicts the growth of the X- and O-mode waves but is also an efficient mechanism for direct amplification of waves. This mechanism have also been applied to the generation of Z- and whistler-mode waves, in which these waves can, in turn, further accelerate electrons from a few hundreds of keV to MeV (Lee et al. 2012a, 2013a). The presence of neutral particles may modify the wave frequency and cause damping of Alfvén waves. The effects on Alfvén waves depend on the ratio collision frequency to the Alfvén wave frequency. The dispersion relation of Alfvén waves for all values of first time that there is a “forbidden zone” in the parameter space, where the real frequency of Alfvén waves becomes zero (Weng et al. 2013). The first statistical study on repetition periods of whistler-mode rising-tone chorus waves using data from the THEMIS satellite is preformed (Shue et al. 2015). It is found that the repetition periods observed on the nightside and dawnside are larger than those observed on the dayside and duskside. Based on the THEMIS data, Shue and Chao (2013) reported that the total pressure just outside the magnetopause is larger than that just inside the magnetopause, the magnetopause moves earthward, and vice versa, and Shue et al. (2011) study a ratio of the compressed magnetic field just inside the magnetopause to the purely dipolar magnetic field at the same position. They also found that the ratio is linearly proportional to the subsolar standoff distance of the magnetopause. Continuous efforts have been made on the structure and dynamics of earth’s magnetopause by reconstructing the two-dimensional plasma and magnetic field configuration from satellite data. In particular, it has identified a few reconnection events with significant field aligned flow from THEMIS spacecraft which exhibit X lines and magnetic island signatures (Jao and Hau 2015). Both fluid theory and particle simulations are adopted to infer the role of fluid theory in the evolution process of electrostatic solitary waves (Wang and Hau 2015). Meanwhile, Kan et al. (2011) present a new M-I coupling model of substorm during southward IMF based on the THEMIS observations of two events on 1 March 2008. Many observations possibly related to seismo-lithospheric precursors of the earth’s surface magnetic field (Liu et al. 2006a) and the GPS surface deformation, seismo-atmospheric precursors of the infrasound signal (Xia et al. 2011), and seismo-ionospheric precursors (SIPs) in the electron density profile (Liu et al. 2009), the electron temperature (Oyama et al. 2008), ion density (Oyama et al. 2011), and neutral temperature (Sun et al. 2011) probed by satellites have been reported. The total electron content (TEC) in the global ionosphere map (GIM) routinely published allows us to monitor temporal SIPs at a specific location and discriminate the observed SIPs (Liu et al. 2001, 2009, 2010a) from global effects, such as solar flares, magnetic storms, and so on. (Liu et al. 2004a). Statistical analyses for detecting both temporal and spatial precursors in the ionospheric TEC are developed (Liu et al. 2004b, 2010b). Meanwhile, ionospheric model simulations are also introduced to find causal mechanisms explaining the observed SIPs (Liu et al. 2011a). The ionospheric density variations can be caused by earth surface charges/currents produced from electric currents associated with the stressed rock, leading to the lithosphere–atmosphere–ionosphere electric coupling. A model for the lithosphere–atmosphere–ionosphere system is formulated (Kuo et al. 2011, 2014), and a three-dimensional ionosphere simulation code is then used to study the ionospheric dynamics. The results can explain the density anomalies at different magnetic latitudes. Doppler sounders and ionosondes have been used to detect seismo-traveling ionospheric disturbances (STIDs) triggered by earthquakes and tsunami (Liu et al. 2006b; Liu and Sun 2011). STIDs in the total electron content are first reported during the Indian Ocean tsunami triggered by the 26 December 2004 M9.3 Sumatra-Andaman earthquake (Liu et al. 2006c). On the other hand, the origin of the tsunami is also for the first time being observed by dense ground-based GPS receivers in Taiwan and Japan during the 11 March 2011 M9.0 Tohoku earthquake (Liu et al. 2011b). FORMOSAT-1, -2, and -3 have been in orbits, while FORMOSAT-5, and -7 will soon be launched in 2016 and 2017 for studying solar terrestrial sciences, respectively. FORMOSAT-1 (was named ROCSAT-1) is a low-earth-orbit scientific experimental satellite. Lockheed Martin’s Athena-1 successfully launched the satellite from Cape Canaveral, Florida, to its final orbit on January 27, 1999 (Fig. 2). After launched into an altitude of 600 km with 35° inclination, it circulates around the Earth every 97 min, transmitting collected data to Taiwan’s receiving stations approximately six times a day. The ionospheric plasma and electrodynamics instrument (IPEI) onboard ROCSAT-1 is designed to measure the ion composition, density, temperature, and drift velocity at the 600-km altitude along the ROCSAT-1 orbit within the latitude band of ± 35° of the low-latitude ionosphere (Fig. 2). It is a very successful mission, and more than 100 articles have been published in scientific journals with data from ROCSAT-1/IPEI. The main studies are classified as (1) ionospheric irregularities with high-resolution data (Chen et al. 2001, 2005; Su et al. 2001) (2) global distributions of ionospheric irregularities (Lee et al. 2005a, b; Su et al. 2006, 2007a, b, 2008, 2009, 2010), (3) low and mid-latitude ionospheric response to magnetic storm (Yeh et al. 2001, 2002, 2003, 2004, 2005a; Lee et al. 2004), and (4) models in the low- and mid-latitude ionosphere (Chao et al. 2003, 2004, 2010; Su et al. 2005b). To examine the low-latitude ionosphere dynamics, theoretical simulations of the disturbance dynamo mechanism are conducted by the TIEGCM (Huang et al. 2005; Huang and Chen 2008; Huang 2013), and the model simulations are cross compared with ROCSAT-1/IPEI and GIM TEC observations (Huang et al. 2008, 2010). 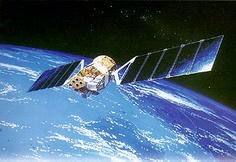 The FORMOSAT-2 satellite is launched on 16 January 2004 and is still in continuous operation. The scientific payload ISUAL (imager of sprites and upper atmospheric lightnings) onboard FORMOSAT-2 satellite is shown in Fig. 3). The scientific goals of this mission are to investigate lightning-induced transient luminous events (TLEs), polar aurora, and upper atmospheric airglow. The ISUAL scientific results include first global distributions and occurrence rates of TLEs (Chen et al. 2008), optical diagnose of energy in TLEs (Kuo et al. 2008), new category of gigantic jet (GJ) with negative and positive polarity (Chou et al. 2010), first finding of new sprites induced by the secondary GJs (Lee et al. 2013b), an evidence of identifying N2 Lyman–Birge–Hopfield emission as dim elves (Chang et al. 2010), and a positive correlation of TLEs response to ENSO in the coastal and the oceanic regions (Wu et al. 2012). FORMOSAT-3/COSMIC (F3/C) consists of six microsatellites being successfully launched into a circular low Earth orbit at 0140 UTC on 15 April 2006. Each satellite houses a GPS occultation experiment (GOX) payload for the first time deriving the radio occultation (RO) vertical profile of electron density in the ionosphere uniformly and globally. By accumulating GOX observations, unprecedented detail of the three‐dimensional (3D) ionospheric electron density structure can be constructed (Fig. 4) (Liu et al. 2010c). Since 2009, an empirical and global ionospheric electron density (Ne) model, the TaiWan Ionospheric Model (TWIM), has been proposed (Tsai et al. 2009), which exhibits vertical-fitted α-Chapman-type layers with distinct F2, F1, E, and D layers and surface spherical harmonic approaches for the fitted layer parameters, including peak density, peak height, and scale height. To improve the TWIM into a real-time model, a time series autoregressive model to forecast short-term TWIM coefficients is also developed (Tsai et al. 2014a). The TWIM has been applied to determine ionospheric delay corrections for GPS positioning and for modeling performance evaluations and comparisons (Macalalad et al. 2012, 2014), locate a ground-based high-frequency (HF) radio transmitter using a numerical ray-tracing method (Tsai et al. 2014b), and improve the vertical ionospheric Ne profile retrieval of GPS radio occultation (RO) observations (Tsai et al. 2011). The large amount of F3/C ionospheric observations provides an excellent opportunity to study ionospheric tidal and planetary wave signatures. The global scale dynamics of the ionosphere have been linked to coupling phenomena from the neutral atmosphere below, solar and geomagnetic drivers from above, as well as in situ drivers, such as thermospheric winds and composition. Analysis of migrating tidal signatures in F3/C TECs (Chang et al. 2013a), as well as associated numerical experiments, yielded insight on the relations between ionospheric migrating tidal signatures and the corresponding features of zonal mean ionospheric local time variation isolated through such analysis. Such analysis is further extended to understanding the inter-annual variation of ionospheric tidal and stationary planetary waves (SPWs) signatures comprising the well-known “wave-4” modulation of the equatorial ionization anomalies (EIAs), a feature ultimately driven by modulation of the E-region dynamo by vertically propagating non-migrating atmospheric tides and SPWs (Chang et al. 2013b). The results demonstrated that such atmosphere–ionosphere coupling was present during periods of both high and low solar activities, forming a persistent feature of ionospheric variability. Such tidal/SPW analysis of F3/C ionospheric observations was also demonstrated (Chang et al. 2015a) to be effective in isolating the modes of variability comprising the Weddell Sea Anomaly (WSA). The F3/C data are also useful for studying atmosphere–ionosphere coupling through the wind dynamo and mixing. Some tidal and planetary wave components are also capable of directly propagating into the thermosphere (Forbes et al. 2009). Breaking tides, planetary, and gravity waves can also induce changes to thermospheric and ionospheric composition through eddy mixing. Using TIMED satellite observations, as well as GPS TEC, it provided the first observational evidence that the mixing mechanism could produce significant short-term decreases in the thermospheric O/N2 density ratio, as well as TEC during occurrences of the quasi-two-day planetary wave in the mesosphere and lower thermosphere (Chang et al. 2014). This result has highlighted the need for such mixing mechanisms to be considered in the context of short-term ionospheric variability. The ionosphere electron density modification with wave-4 signature due to upward propagating tides can be clearly observed by F3/C (Lin et al. 2007a, b). The coupling goes further when the upper atmosphere community discovered that the high latitude stratosphere sudden warming (SSW) effect could disturb the equatorial ionospheric plasma structure. F3/C observation shows that the ionosphere modification due to SSW is through sun-synchronized atmospheric tides (Lin et al. 2012, 2013). Meanwhile, F3/C temperature has been employed to investigate Kelvin waves in the stratosphere (Pan et al. 2011) and global temperature in the stratosphere (Das and Pan 2014). Scientists in Taiwan also discover new ionospheric plasma structure taking advantage of three-dimensional observation. From the first three-dimensional structure of ionospheric WSA, it can be realized that WSA is simpler part of a bigger ionospheric anomaly, namely, the middle latitude summer nighttime anomaly (MSNA) (Lin et al. 2009, 2010; Chen et al. 2011, 2013). Meanwhile, the MSNA/WSA eastward movement signature have also been comprehensively studied using F3/C observations (Lin et al. 2010; Liu et al. 2015; Chang et al. 2015b) and model simulations (Chen et al. 2011, 2013; Sun et al. 2015). Also, a new type of low latitude plasma structure located underneath the EIA peaks is discovered, and their corresponding physical mechanism is proposed for the first time (Lee et al. 2012b; Chen et al. 2014c). The pronunciation of “4” in Chinese sounds like “death” or “bad luck”, which is somewhat similar to “13” in West. Therefore, there is no FORMOSAT-4 mission. FORMOSAT-5 is a remote sensing satellite and scheduled to launch in 2016Q2 and anticipated to fly in a 98.28° inclination sun-synchronous circular orbit at 720-km altitude in the 1030/2230 LT sectors (Fig. 5). 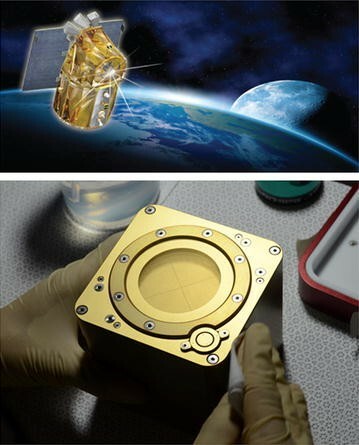 Advanced ionospheric probe (AIP) is an all-in-one plasma sensor to install on the FORMOSAT-5 satellite with sampling rate up to 8192 S/s to measure ionospheric plasma concentrations (N i), velocities (V i), and temperatures (T i and T e) over a wide range of spatial scales in a time-sharing way (Fig. 5) (Chao et al. 2015). AIP is a piggyback science payload developed by NCU for FORMOSAT-5 satellite to explore space weather and seismic precursors associated with strong earthquakes. The AIP is an all-in-one plasma sensor to measure ionospheric plasma concentrations, velocities, or temperatures in a time-sharing way. Meanwhile, the AIP is capable of measuring ionospheric plasma irregularities with sampling rate up to 8192 Hz over a wide range of spatial scales. Electroformed gold grids used in the AIP can reduce quasi-hysteresis effect on current–voltage curves in a plasma injection test and approximate ideal electrical potential surfaces for accurate data available in the future. AIP is designed to meet science payload interface requirements of FORMOSAT-5 satellite and also to maximize geophysical parameters and data rates for science research. Under a 5-kg limit in mass, the AIP uses an all-in-one sensor configuration to measure ambient plasma concentrations, velocities, and temperatures but in a time-sharing manner. Most critical components of the AIP are redundantly implemented to achieve a 2-year mission lifetime. The AIP can continue on duty even if some components fail. However, at the beginning, the AIP will be routinely operated within ± 75° latitude in the nightside sector to meet a 5-W limit in average power per orbit due to high power consumption and a heat dissipation issue. Up to 1.5 gigabits per day in data storage, the AIP is capable to perform 8192 electric current readings per second with duty cycle under 10 % to resolve fine structure of equatorial ionospheric plasma irregularities within ± 18° latitude. FORMOSAT-6 was designed to have a remote sensing mission and, however, terminated after a careful evaluation. FORMOSAT-7/COSMIC-2 (constellation observing system for meteorology, ionosphere and climate, here simplified as FORMOSAT-7) is an international collaboration between Taiwan (National Space Organization; NSPO) and the United States (National Oceanic and Atmospheric Administration; NOAA) that will use a constellation of twelve remote sensing microsatellites to collect atmospheric data for weather prediction and for ionosphere, climate, and gravity research. It is a follow-up mission to the FORMOSAT-3/COSMIC mission. The new constellation provides improved performance and a five times increase in number of measurements. The precision will also be improved. FORMOSAT-7 will establish operational mission of near real-numerical weather prediction. It will collect 8000 (threshold) profiles per day (the objective number is 10,000). NSPO will design, procure, integrate 12 spacecraft, and integrate the GNSS payload provided by JPL. The satellites have GPS, GALILEO, and GLONASS tracking capability. NOAA will procure the launch vehicles. The U.S. Air Force is partnering on COSMIC-2 and will provide two space weather payloads that will fly on the first six satellites: RF beacon transmitters and velocity, ion density, and irregularities (VIDI) instruments. The first launch of six satellites of the low inclination constellation is planned for 2016, and the second launch into the high inclination orbits will take place in 2018. The last launch includes a seventh back-up satellite. FORMOSAT-7 shall make the ionospheric weather monitoring and forecast on three-dimensional electron density structure and dynamics being possible (Lee et al. 2013c). The ionospheric climate, which is usually the overall feature, averaged over a period of several years or decades. In contrast, the ionospheric weather is the short-term variations in minutes to weeks. The ionospheric is becoming more relevant to human society with its reliance on modern technology, since the accuracy of positioning and navigation, and quality of telecommunication are influenced by ionospheric weather conditions from space (solar flare, eclipse, solar wind, magnetic storm, and so on), earth’s atmosphere (sudden stratosphere warming), and lithosphere (earthquake and tsunami). Liu et al. (2004a) developed the theory and the observation technique for monitoring ionospheric solar flare effects by means of the TEC recorded by ground-based GPS receivers. The development resulted in the finding that the ionospheric solar flare effect is a function the cosine of the great circle angle between the center and flare locations on the solar disk (Liu et al. 2006d). Liu et al. (2011c) found the solid evidence that Moon’s shadow of the solar eclipse can trigger the atmospheric gravity waves, which in turn form the bow wave, the stern wave, and the stern wake in the atmosphere and ionosphere, since the bow wave was predicted in 1970. Sun et al. (2012, 2013) showed the ionospheric plasma density irregularities response to magnetic storms. The results can help us to hypothesize the possible behavior of irregularities after storm onsets. Liu et al. (2016) surveyed the worst-case GPS scintillations on the ground estimated from radio occultation observations of F3/C during 2007–2014 and are ready to develop an empirical model for the ionospheric S4 scintillation. Currently, the nowcast and forecast data assimilation models with the neutral atmosphere have been developed (Lee et al. 2012c; Hsu et al. 2014; Sun et al. 2015). Education is a key driver for the scientific development. The space division of the Department of Atmospheric Sciences and the Institute of Space Science at National Central University has been carrying out the undergraduate and MS/Ph.D. graduate programs for solar terrestrial sciences since 1990. Currently, 15 full-time professors and six adjunct professors at the Institute of Space Science incubate 37 undergraduate students per year for the Department of Atmospheric Sciences and about 5 Ph.D./25 MS graduate students per year for its own institute. Main courses consist of seminar, special topics, applied mathematics, classical electromagnetics, space physics, ionospheric physics, magnetospheric physics, magnetohydrodynamics, space plasma physics, plasma measurement (satellite payload engineering), random process and spectral analysis, numerical simulation, principle of radar remote sensing, and digital image processing. In total, 62 Ph.D. and 425 MS students have graduated from the Institute of Space Science, and about one-third of them are in universities and research institutes. In general, the Institute of Space Science has five research directions of space physics, ionospheric physics, radar science, space payload, and remote sensing to provide/support Ph.D./MS research works/topics. This results in 123 journal papers being published in recent 3 years. This paper summarizes the development of solar terrestrial sciences in Taiwan since 1952. It can be seen that since 1985, the modern technology and major facilities, such as ground-based GPS receivers, Chung-LI VHF, and especially FORMOSAT satellites together with theoretical and model developments significantly boost the solar terrestrial science research in Taiwan. Meanwhile, since 1990 (1972), the education of NCU/ISS (NCU/ATM), which has incubated about 500 Masters/Doctors (1000+ Bachelors), should play an important role in development of solar terrestrial sciences for research areas from the Sun, solar wind, magnetosphere, ionosphere, and atmosphere, with theoretical developments, numerical simulations, and observations. Based on the published papers and the materials provided by coauthors at National Central University and National Cheng Kung University, JYL summarizes their works and develops the manuscript. All authors read and approved the final manuscript. The authors wish to thank the session convener Prof. Balan N for inviting us to submit this paper. The authors wish to thank Dr. Lin C Y and Dr. Sun Y Y at NCU/ISS for scientific editing.